Our community will face growing challenges over the coming decades as the climate changes in severe and unpredictable ways. Tony T. Smith is working to protect Nevada's environment by focusing on three issues: ensuring our State is prepared for the effects of climate change, protecting our natural public spaces through smart development, and preventing nuclear waste from being stored in Nevada. It is undeniable that climate change will have a huge impact on Nevada. Unfortunately our State does not have an adaptation plan, unlike nearly two dozen other States. Tony T. Smith will work to ensure Nevada has an adaptation plan so that we are prepared for the future. Nobody needs to tell a Las Vegas resident that our water supply from the Colorado River is crucial to all of us in the desert. 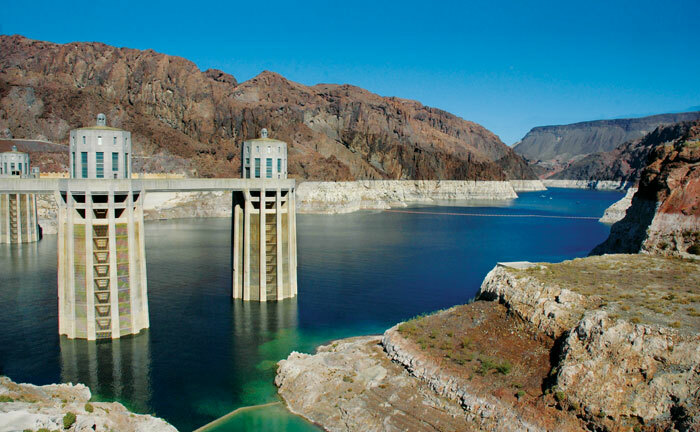 But Nevada's apportionment of water is dictated by the Colorado River Compact, which is based upon population figures and water needs from nearly a century ago. Further, Nevada has been making tremendous efforts to conserve water, yet our this has no bearing on our apportionment. That is why Tony will fight to begin the process of renegotiating the Colorado River Compact so that Nevada receives its fair and honest share of water well into the 21st century. Tony is proposing a statewide Smart Development Plan to avoid the environmental and economic problems that can come with unplanned development. District 4 still has large areas of undeveloped land which is why Tony wants to make sure our District avoids the problems of congestion or lack of natural public spaces. The Trump Administration is trying to revive the dangerous plan to deposit the nation's nuclear waste at Yucca Mountain, just 90 miles north of Las Vegas. There are severe concerns about the structural integrity of the Yucca Mountain depository as well as environmental risks involved with transporting tons of nuclear waste through Nevada. Our State has never relied on nuclear power, in part due to Nevada's history of being used for federal nuclear testing, so there is no reason we should be forced to sacrifice the safety of our people and environment to solve the problems of States that decided to use nuclear power. That is why if elected Tony will use every legal resource available to make sure Nevada never serves as the nation's nuclear waste dump.